AUGUSTA — Capital Area Technical Center has announced its March Students of the Month, according to a news release from Stephanie Turgeon, student services coordinator. 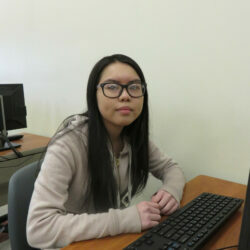 Hannah Luc, of Farmingdale, a junior from Hall-Dale High School, is enrolled in the Business Academy. She has enjoyed the fun activities her instructor has developed for the class to learn about business practices. The interactions with her fellow classmates as well as the books used in class have helped her learn many business concepts. She feels her time management, including meeting deadlines and learning to prioritize, have improved this year as a result of taking the course, according to the release. Her instructor, Angela Dostie said, “Hannah is hard-working, respectful and kind. She comes to class prepared and takes pride in her work,” according to the release. In her spare time, Luc spends time with friends, reads science fiction fantasy novels and creates artwork. She hopes in the future to combine her love of art and knowledge of business into a career. hands-on aspect of the program and the class structure that makes it feel like reporting to a job each day. His favorite project has been working on the tiny home class project. He enjoyed the framing and putting the walls up, and is excited to now be working on the inside finish work, according to the release. His instructor, Tom Holzwarth said, “Shaine is great. He has talent and will have a successful career in the building construction field,” according to the release. When he is not in school, Staples is working for On the Mark Remodeling. 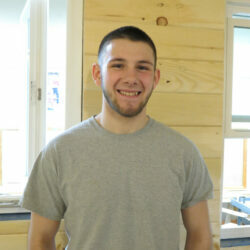 Upon graduation, he plans to attend Central Maine Community College and study building construction.